Great progress has been made in improving an environment that promotes the sound development of mutual investment and economic exchanges between Japan and Taiwan, with the intention also of targeting the huge market in China, as a result of the recent conclusions of the ECFA (Taiwan-China Economic Cooperation Framework Agreement), the Investment Arrangement between Japan and Taiwan (the Arrangement between the Interchange Association and the Association of East Asian Relations for the Mutual Cooperation on the Liberalization, Promotion and Protection of Investment), the Taxation Arrangement between Japan and Taiwan (the Agreement between the Interchange Association and the Association of East Asian Relations for the Avoidance of Double Taxation and the Prevention of Fiscal Evasion with respect to Taxes on Income), and so forth. In addition, large-scale strategic partnerships and mutual investment between Japanese and Taiwanese companies are gaining increasing attention. Nishimura & Asahi is the only leading law firm in Japan to have a Taiwan Practice Group, consisting of several Taiwanese lawyers and specialized Taiwanese staff, to assist clients with a wide range of legal matters involving Japan and Taiwan. 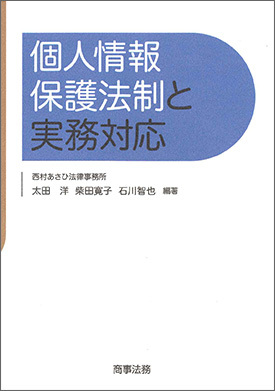 In order to tailor our services for each individual client, we have developed an integrated system that allows us to provide appropriate services having regard for the differences between the legal systems in the two countries, and in the client’s preferred language (Japanese, Taiwanese Mandarin, or English). Specifically, we provide professional services relating to: 1) direct investment in Taiwan by Japanese companies; 2) direct investment in Japan by Taiwanese companies; 3) strategic partnerships, joint ventures, and other M&A matters such as TOB regulations, insider trading regulations, premerger notification filings, etc. 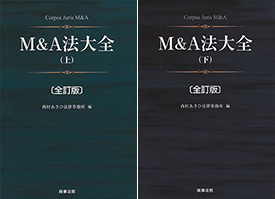 ; 4) listing in Taiwan (IPOs and secondary offerings by listing TDR on the TWSE or GTSM); 5) all types of business contracts and agreements; 6) intellectual property protection in Taiwan and infringement claims; 7) bankruptcy and restructuring; 8) all types of disputes; and 9) Japan-Taiwan inheritance matters, such as legal investigation, drafting documents, negotiation with authorities and relevant parties, etc. Business acquisition of a Taiwanese company by a subsidiary of YUYAMA MANUFACTURING CO., LTD.
Acquisition by Powertech Technology Inc. Group (a TWSE-listed company) of a shareholding in Tera Probe Inc. (a Mothers-listed company) through a public Tender Offer Bid (TOB) from Micron Technology Inc. Group (a NASDAQ-listed company). Sharp Corporation's receipt of capital injection from Hon Hai Precision Industry Co., Ltd.
Acquisition of a Taiwanese logistics company by Sankyu Inc. Establishment of a Joint Venture in Taiwan by Meiko Network Japan Co., Ltd.
Capital injection in a company listed on JASDAQ by a listed company in Taiwan in exchange for the allocation of new shares. Acquisition of Shinkawa East building by Chicony Electronics CO., Ltd. (a Taiwanese company listed on TWSE). Japan 360 days later: Could it become Asia’s next premium gambling destination?